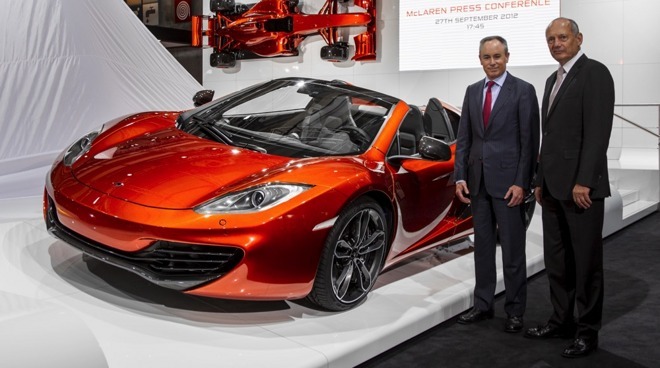 After rumors swirled of a potential Apple buy of boutique sports car vendor McLaren Automotive, the car manufacturer has denied that it is having investment talks with Apple at this time. The earlier claims initially published by the Financial Times and independently backed up by The New York Times claimed that Apple started negotiations to purchase McLaren for between £1 billion and £1.5 billion ($1.3 billion to $2 billion) several months ago, around the time that rumors were circulating about Apple buying McLaren's racing team. McLaren has since issued a statement, declaring that the company "is not in discussion with Apple in respect of any potential investment" at this time. Apple has declined comment on the matter. Apple's "Project Titan" was discovered in early 2015. AppleInsider discovered the automotive project was being run out of a top-secret facility in Sunnyvale, Calif. in early 2015. Project Titan allegedly involved more than 1,000 employees, including existing Apple engineers extracted from other divisions, incorporated with auto industry specialists hired away from other car companies. In early September, Apple was said to have laid off dozens of workers from the as-yet unannounced Apple Car project. The layoffs were said to be because of a shift away from a bumper-to-bumper plan, with the future Project Titan focus homing in on automotive software like self-driving cars.